Shopping for a new Nissan Leaf? Plus has faster charging—but where? You can still qualify for the full $7,500 federal EV tax credit when you buy a 2019 Leaf; Nissan is unlikely this year to reach the 200,000-delivery ceiling at which the phase out (already applying to Tesla and GM) would start. Other state and local incentives may also apply. The 2019 Nissan Leaf Plus offers up to 226 miles of EPA-rated range, which makes this all-electric hatchback competitive with other long-range models such as the Chevrolet Bolt EV, Hyundai Kona Electric, and Kia Niro EV. Last year the Leaf lineup received a redesigned exterior and interior, new active-safety features, and more battery capacity and a longer rated driving range. But this year it has received what may be far more significant: a range of more than 200 miles. The Nissan Leaf lineup now includes two models: the standard Leaf, with a 40-kwh battery pack, and the Leaf Plus, with a 62-kwh one. Nissan has kept most of the other details between the two models comparable, with base S, mid-level SV, and premium SL versions of each. 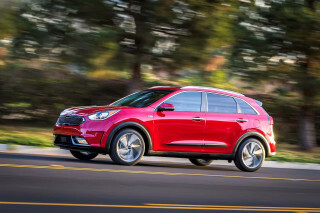 Base cars cost more than $31,000 before incentives, and fully loaded versions can crest more than $43,000. Although the Nissan Leaf lineup can still trace many of its pieces back to the 2011 model, the 2019 Leaf and Leaf Plus both benefit from the extensive design refresh inside and out for 2018, including an expanded feature set, with available ProPilot Assist, a mashup of adaptive cruise control and active lane control. The Leaf Plus takes that higher—really—with a more powerful motor that accelerates the car to 60 mph in less than 7 seconds. 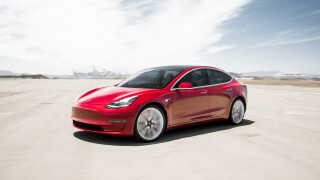 Although the new Plus, with 214 horsepower and 250 pound-feet of torque, doesn’t feel as ridiculously quick from a standing start as you might think—partly due to electronic traction controls—it does feel much quicker than the standard car in the 40-70 mph range, where American commuters (if they’re lucky not to be in gridlock) spend a large amount of their daily drive time. A very quiet, versatile cabin layout, a relatively smooth and quiet ride, and good cargo versatility altogether make the Leaf fully competitive with similarly sized gasoline vehicles. Keeping the Leaf charged is, of course, the necessity that will still discourage many would-be buyers from going completely electric. But there are plenty of ways to do it. 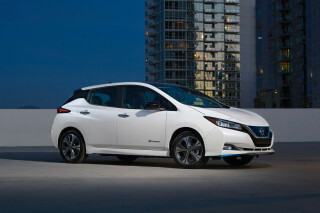 You can charge the standard Leaf to full in 7.5 hours on Level 2 (240 volts), or 16 hours on 120-volt AC. Leaf Plus models can get to a full charge in 11.5 hours on 240 volts and have (where and when you can use it) even faster 100-kw CHAdeMO DC fast charging. The 2019 Leaf carries on with the fresh, contemporary look introduced last year—though that didn’t entirely mask this model’s decade-old roots. The 2019 Nissan Leaf benefits from an extensive design refresh last year that kept the Leaf’s existing form factor and most of its key dimensions but made it look (and perhaps feel) like an entirely different car. While the Leaf’s bug-eyed and more curvaceous predecessor made no bones about being different, there are few visible concessions to “looking” the part of green trendsetter. If someone cares to look a little harder, the lack of a fuel filler, and the “Zero Emissions” badging alongside the vehicle are about the only indicators. The Leaf’s look is deceptively normal at first glance, but there’s more to digest the longer you look at it, with blacked-out portions that span different curves than the actual body panels. It’s more complex and clever, but also more cluttered, than the design of the original Leaf. From the side, the Leaf’s familiar profile is intact. It’s confusing as this model’s hoodline looks built to accommodate an internal combustion engine. A few more creases toward the rear fenders and some well-placed blackout treatments give the Leaf some much-needed sportiness. Nissan gave the upper portion of the car a blacked-out treatment for the rear pillar that results in a “floating” look for the roof—much like the latest Nissan Murano crossover. In front, the Leaf flaunts a version of the “V-motion” grille that the entire Nissan family now has. A two-tone treatment in back, with the upper portion of the rear hatch blacked out and the previous vertical taillights gone, creates a visual trick that makes the Leaf look almost sedan-like at first glance. The updated interior in the 2019 Leaf now feels conventional, with less of the juxtaposition you might see on the outside. There’s a two-tone look plus updated, soft-touch materials and some nice detailing like blue accent stitching and a gauge cluster moved up close in front of the driver. If anything it can lend the feeling of being more upright, even though the driving position remains nearly the same as previous Leafs. Plus models are slightly taller than standard models. Smooth and responsive performance is found throughout the 2019 Leaf lineup, and the Leaf Plus stands out for its quicker acceleration. WIth the introduction of the 2019 Nissan Leaf Plus, the lineup is offered in two performance flavors—both of which exhibit the perky, responsive behavior and strong low-speed torque that’s expected from electric cars. The Leaf Plus, with an EPA-rated 226 miles, is more than just the long-range Leaf model. 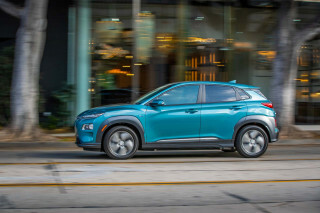 The Plus makes 214 horsepower, up from 147 hp in the standard Leaf, and torque is up to 250 pound-feet for the Leaf Plus, versus 187 lb-ft.
Last year’s refresh already added to the Leaf’s perkiness with a bump in motor power and a shorter reduction ratio for the motor. The bump in power for the Plus cuts about a second off the redesigned Leaf’s 0-60 mph time (to somewhere around 6.5 seconds) and makes it feel much stronger in the 40- to 70-mph range. Handling improved last year, with a retuned suspension and quicker steering that gave this hatchback a more eager feel in tight corners, especially at city speeds. The Leaf isn’t a particularly capable handler, and it can hop and bound on some kinds of bumpy pavement, but with its weight down low it’s stable and predictable. Many will wish for better straight-line tracking at highway speeds, as the car requires frequent small adjustments and can wander easily with crosswinds. Although the Plus angles for better performance, it doesn’t feel any more sporty or agile in its handling than other Leaf models—likely due to the approximately 300 pounds of additional weight due to its 62-kwh battery pack (versus 40 kwh in standard Leaf models). The Plus also rides about a half inch higher than the standard model—although it keeps the same wheels and tires. Just in Drive, the 2019 Nissan Leaf glides when you lift off the accelerator, with very little deceleration, much like a large gasoline vehicle. But if you don’t prefer that, you have plenty of options. The Leaf’s multiple driving modes are each accessed in their own ways in a confusing interface. The Eco mode, engaged by pressing the Eco button at the front of the center console, makes the Leaf feel more linear in its accelerator response. Separately, there’s e-Pedal—also engaged by a button, albeit one you toggle rather than press—a mode that maximizes brake regeneration for a consistent level of (strong) deceleration when you lift off the accelerator. This mode actually can glide the Leaf slowly down to a stop without pressing the brake pedal—saving you the foot-shuffling over to the brake pedal in slow-moving gridlock. The third variable to throw in the mix is the “B” mode, accessed via the shifter and the way to access more regenerative braking versus normal Drive operation—but still maintaining the “creep” behavior, in which the car slowly moves forward when you lift off the brake. Among all of these modes, the only one that you don’t have to re-engage each time you start the car is Eco. The 2019 Nissan Leaf has a comfortable ride, a space-efficient interior, and a quiet cabin, even on the highway. With the Leaf’s revamped design it looks less like an electric car than ever, and the same applies to its cabin layout—provided you look past the mushroom (or is that a hockey puck?) shift lever. The Leaf’s front seats were redesigned last year and are more supportive to hips and lower backs, although taller drivers will find that they’re lacking in back and shoulder support. Likewise, shorter drivers may notice that the steering wheel doesn’t telescope, while most other drivers will find it easy to get a nice, relatively upright driving position. With the seats slightly higher than in other passenger cars, getting in and out is particularly easy. The back seats in the Leaf are comfortable, provided you’re in one of the outboard positions. Because it sits on top of a piece of the battery, it’s rather high and thinly padded, with a back seat at a reclined angle. That said, four adults can be easily accommodated. If anything, the Leaf is too narrow for a third person in the back seat; and if they’re small enough to fit in the middle position, they should probably be in a child seat. 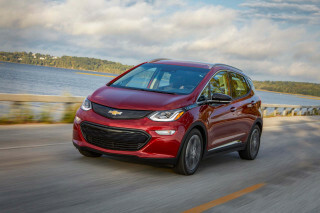 The rear hatch opens wide to a cargo space that is roughly comparable to that of any non-electric hatchbacks, such as the Chevrolet Cruze or Hyundai Elantra GT. The Leaf has the usual quotient of door bins front and rear, a pair of cupholders for front-seat occupants in the center console, and a smartphone tray ahead of the drive selector. The 2019 Nissan Leaf offers some intriguing safety and driver-assistance features, but updated crash tests haven’t yet been done. The 2019 Nissan Leaf hasn’t yet been rated for safety by NHTSA. In limited testing by the IIHS the Leaf earned “good” scores in the moderate overlap front and side tests, as well as for its head restraints. The Leaf Plus is heavier due to its higher-capacity battery pack, and has a slightly higher ride height, compared to other Leaf models. The Leaf lineup offers ProPilot Assist, which is adaptive cruise control behaving together with active lane control. The latter portion of it works well enough in keeping centered in the lane of travel at highway speeds, although it only works to a certain level of cornering force so some tighter corners and urban freeways will cause the system to give up suddenly. Drivers still need to put their hands on the wheel for short intervals. The standard safety set on all 2019 Leaf models includes automatic emergency braking and forward collision warning, and a driver alertness system based on steering behavior. ProPilot Assist is optional at the SV and SL level, as are blind-spot monitors, rear cross-traffic alert, and a pedestrian detection system. Three distinct trim levels of the 2019 Nissan Leaf and Leaf Plus help provide separation for those who want a basic commuter car versus something more. Whether you’re opting for the standard 2019 Nissan Leaf or the longer-range Leaf Plus, there are three trim levels: base S, mid-level SV, and top-of-the-line SL. Even at the base S level, which costs about $31,000 before incentives, the Leaf comes with cruise control, keyless ignition, and automatic climate control. This model can be identified by its steel wheels. DC fast-charging is optional on the Leaf S, but standard on the Leaf Plus S.
The mid-range SV is the way we’d go for $33,500 as it’s the most flexible. It gets intelligent cruise control, fog lamps, and upgraded 17-inch machined-finish alloy wheels and Michelin Energy Saver tires. SV models also open up the possibility of an All Weather Package with heated seats, a heated steering wheel, heated mirrors, rear climate ducts, and a hybrid heater using a heat pump. Top SL models cost more than $37,000 and get Bose premium audio, heated outside mirrors with integrated turn signals, LED headlamps and running lamps, a power driver’s seat, leather upholstery, front heated seats, and rear climate control ducts. Upgrading S, SL or SV models to S Plus, SL Plus, or SV Plus adds about $6,000 to the price. All Plus models get an 8.0-inch infotainment screen. On either SV or SL models you can upgrade to a Technology Package that brings ProPilot Assist, a full-range adaptive cruise control system, and the suite of upgraded active-safety items, including pedestrian detection and cross-traffic assist. The base S comes with a 5.0-inch display with four audio speakers and a CD player. SV and SL models step up to an 7.0-inch touchscreen infotainment system featuring Android Auto and Apple CarPlay compatibility, built-in navigation, satellite radio, and HD Radio, as well as NissanConnect EV telematics services, to allow remote battery monitoring and climate pre-conditioning. On all 2019 Leaf models there’s a 6.6-kilowatt onboard charger, capable at 240 volts (Level 2) of charging the Leaf to full in 7.5 hours, or the Leaf Plus in 11.5 hours. One key technical advantage for the Leaf Plus is its 100-kw CHAdeMO DC fast charging capability, which can charge the Plus’ much larger 62-kwh battery to 80 percent in 45 minutes. Other Leaf models with the smaller 40-kwh battery have 50-kw DC fast charging that will charge the battery to 80 percent in about 40 minutes. The “Zero Emission” claims plastered on the Leaf might be a stretch if you look at the whole picture, but there’s no tailpipe, no fuel tank. The 2019 Nissan Leaf lineup—especially the Plus—boasts something that previous years of the Leaf haven’t: flexibility for where to charge and how to do it. And in most parts of the country, no matter how you charge up—including upstream emissions from power plants—the 2019 Nissan Leaf is one of the greenest picks for the commute or the weekend road trip. In base form with a 40-kwh battery, the 2019 Leaf is rated at an EPA combined 150 miles. 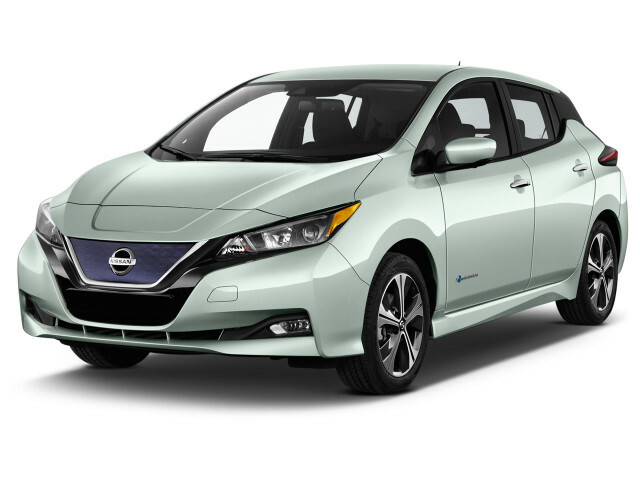 The 2019 Nissan Leaf Plus has a much larger 62-kwh battery pack and is rated at 226 miles (Leaf Plus S) or 215 miles (Leaf Plus SV or Leaf Plus SL). With the potential for 100-kw CHAdeMO DC fast-charging, the Leaf Plus seems like it would have an advantage for charging on road trips—in the future, when such chargers might be installed—but most versions of the Leaf or Leaf Plus now offer the flexibility of a portable charge cable that will plug into 240-volt systems with a NEMA 14-50 socket. Looking for a different year of the Nissan Leaf?